I can hardly believe that our last week at Waupoos is coming to a close. Time flies when you are having fun, and the last eight weeks have done just that! For our last week of summer vacations, we had an amazing new host family, who brought loads of creativity and energy to the farm. Every morning the day was started off with Chapel Time, in which we learned about all of the different covenants between God and His children. From day one of creation to the present day, it is pretty clear that our God loves us very very much! From Madlibs and pizza making, to craft and pool time, there was no shortage of fun activities for the kids to participate in this week. On Thursday, we held our last Amazing Race of the summer, which had all of the kids engaged. We are all a little sad that the summer has ended, and we will all be going our separate ways. There is no denying how blessed we have been to have had such an incredible summer, to have been part of such an amazing initiative, and to have met such inspirational people. Only time will tell what adventures await us all in the year to come! We hope to see you for our final Open House this Saturday at 1 pm for a wagon ride, potluck dinner, and Mass. 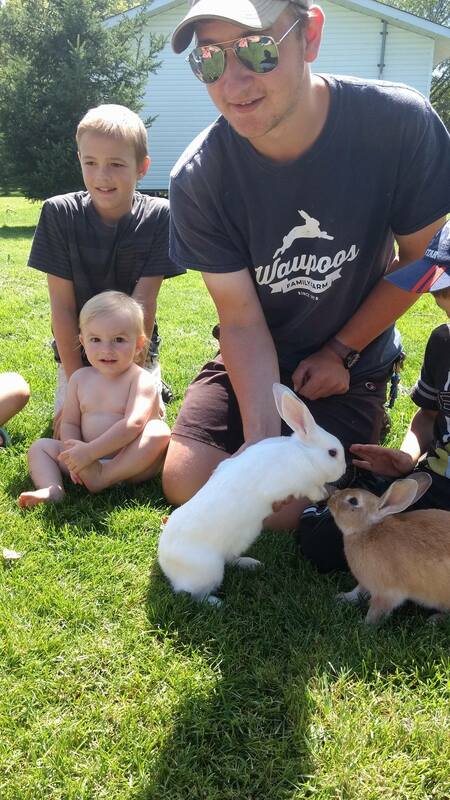 Our second last week at Waupoos farm was a joy to be a part of. 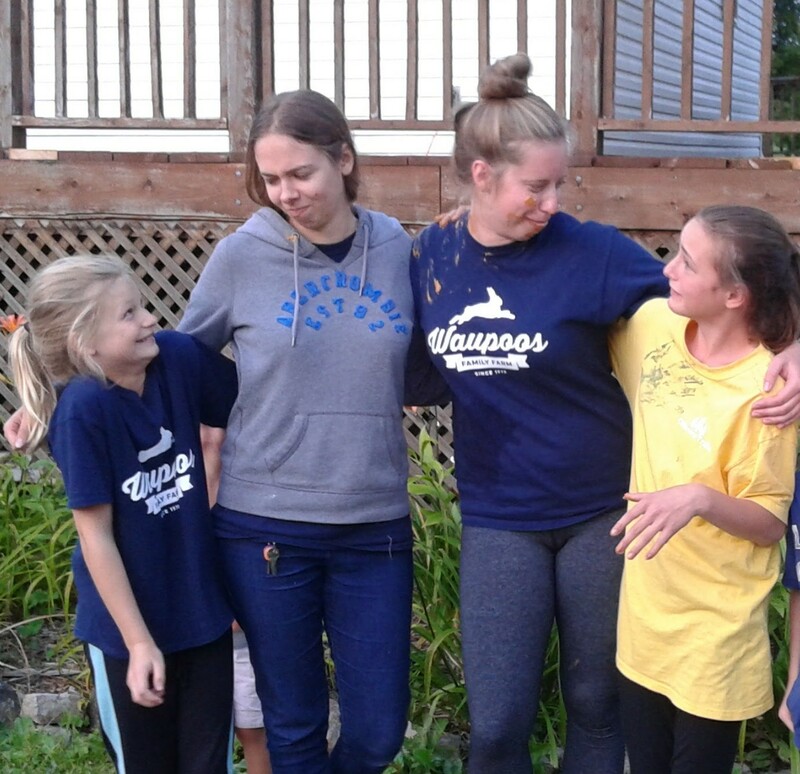 We had lovely hosts who did an amazing job engaging all of the cottagers and making sure that everyone was having fun. Through a series of painting workshops, the children were able to paint beautiful icons of the angel Raphael, who is found in both the Christian and Islam tradition. This week, we also tried out a new pool game for the first time: Water Bingo! The kids loved it, and with their bouncy-ball prizes they were able to continue the fun into the afternoon. Overall, week seven was a beautiful week full of fun, laughter, and new friends! As always, we invite you to join in the fun at our Open House’s on Saturdays at 1 pm! Week six has stood out from other weeks in a very heart-warming way. Since the very first day of the vacation, the cottagers have formed strong friendships with each other. When we look outside, we see kids from all of the different cottages playing together. The older ones have taken some of the younger ones under their wing, and nobody ever seems to be left out of the fun. Of course, it is not just the children that are bonding but the parents as well, with families even going so far as to invite other cottages over for dinner at night! It hardly feels like we have to organize activities because everyone is genuinely just enjoying being in each other’s presence. Our amazing hosts have definitely added to the blessings of this week, with fun crafts and games, as well as calming and inspiring Chapel Time discussions that touched the hearts of everyone present. Overall, this week has so beautifully showcased the importance of community and how little gestures of friendliness and hospitality can go a long way. If you would like to be a part of this unique week at Waupoos, please join us for our Open House, Saturday, August 11th at 1 pm. Week 5 at Waupoos was a blast! Our afternoons were filled with creative games and crafts that kept everyone busy. On Thursday, all of the kids went for a nature walk to collect materials to make their very own “Fairy Gardens”. It was a great chance for them to explore Waupoos’ property a little more. Then, of course, there were the old favourites, like Little Ray’s Nature Center, and storytime, as well as lots of pool time! It was a week to remember, and we hope our final three weeks will be just as special!for the first time (shout-out to Emily, our awesome lifeguard)! Please join us for our weekly Open Houses, on Saturdays at 1 pm! We can hardly believe that the summer season is halfway over! For the first time all summer, we had a week full of rain (but that didn’t stop anyone from having fun!). Our wonderful host decided that this week would be themed “Christmas in July”! With Christmas themed chapel, Christmas cookies at snack, and Christmas crafts and activities throughout the day, Waupoos was filled with holiday cheer. On Wednesday, we held a Christmas party in the lodge, featuring cupcake decorating, Christmas carolling, many Christmas crafts, and even a creative new way of reading “Twas the Night Before Christmas”. Thursday has finally brought us some sunshine (which we prayed most ardently for in chapel), so we will be taking full advantage by organizing some outdoor games for the kids! As always, we hope to see you this Saturday at 1 pm, for our weekly Open House, where you can expect a wagon ride, Mass, a potluck and a whole lot of good cheer! Week 2 at Waupoos is coming to a close, and this week could not have been more fun! We started each morning with a prayer in the chapel, followed by delicious snacks prepared by our lovely host. The beautiful weather meant that everybody spent most of their time in the pool, being kept busy with swimming lessons and water games! With a lot of things in our garden ready to be harvested, the kids took it upon themselves to lend a helping hand! We had lots of fun picking beans, peas, and raspberries before the sun got too hot. 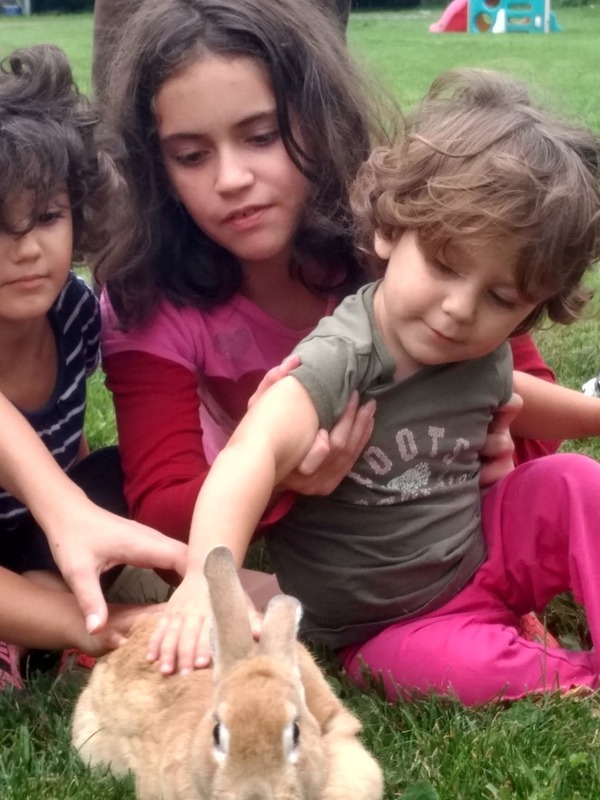 One of the highlights for the kids was Little Ray’s Nature Center, who brought some of their animals over for a visit. The big python at the end was the unanimous favourite! Overall, Week 2 was certainly a memorable one! We hope you will be able to join us for our Open House, Saturday, July 14th at 1 pm. You can look forward to Mass, a wagon ride, and a potluck! 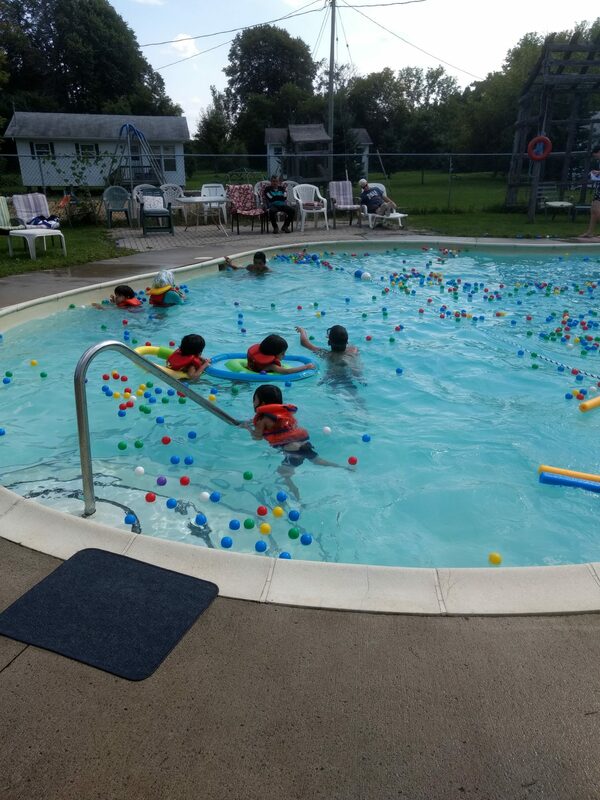 Our first week at Waupoos has seen record-breaking temperatures, but that has not stopped anyone from having fun! With plenty of water games, some pool time, and some winter-themed crafts, everyone has been able to keep cool. Story Time was also a favourite, especially sitting in front of the fans! Today the kids are keeping busy with Little Ray’s Reptiles, and are getting their acts ready for the Talent Show. Overall it has been an amazing week filled with amazing graces and smiling faces! What a great start to the summer! We hope to see you for our Open House, this Saturday, July 7th, at 1 pm!